Hemet Valley RV has manufactured aluminum and fiberglass siding for the RV repair industry since 1995. We provide RV siding for repairs in California for Shasta, Lance, Coleman, Starcraft and Dutchmen, along with a variety of other brands, making it easy to refurbish and repair RV’s. Every member of our team makes a tremendous effort to make sure our customers get the products that they need, when they need them. We are committed to ensuring that our customers receive orders on time and on budget. Our friendly, dedicated staff is what makes our business successful. Steve has been at the helm of Hemet Valley RV since he purchased the company in 2005. Specializing in RV refurbishment, Steve works closely with individual customers and industry partners. 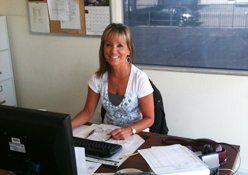 Tammy keeps the “wheels turning” at Hemet Valley RV. She spends her time answering customers’ questions and making sure that manufacturing, shipping, delivery times and payments are on time and in sync. Richie is often referred to as the “captain of the shop.” He spends his time making sure that every item is properly manufactured and installed to meet Hemet Valley’s high quality standards. Rick is our designated go-to guy for special products and large orders. 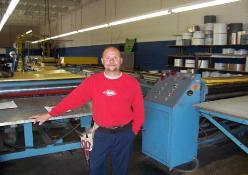 His skills and expertise in the shop ensure that orders are done on-time and that they exceed customer expectations. 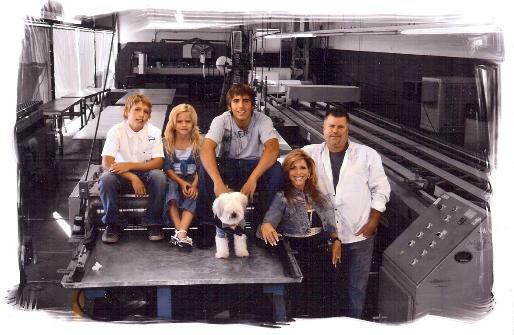 Tisha’s time is spent assisting customers, managing orders, keeping records and much more. She is the primary organizational influence that keeps the front-office and back-office operations running smoothly. If you have questions about any of the services available at Hemet Valley RV, give us a call at 951-765-5075 or email us at hvrvmetal@verizon.net.